Dancing with the Stars South Africa is a South African reality competition television series based on the BBC Worldwide format in which 12 untrained celebrities compete for a public vote with the help of professional Latin and Ballroom dancers. During the first two live Sunday night broadcasts, viewers are introduced to the dancing pairs. A special results show, Dancing with the Stars Live Results, is added from Episode 3, when the first couple will be sent home. Viewers will be able to vote for their favourite dancing pairs – a celebrity partnered with a professional dancer – from the start of the live show at 17h00 until 19h15 on the same night. 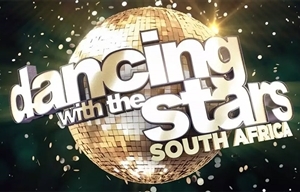 Dancing with the Stars South Africa is produced for M-Net by Rapid Blue, with executive producers Kee-Leen Irvine and Duncan Irvine. The script writer is Charmaine Weir-Smith and the musical director is James Bassingthwaighte. Jason Gilkison is the creative director; Kee-Leen Irvine the series director and Lillias Bode is the series producer. Hosts a radio show on Heart FM and has been a presenter on kykNET's magazine show Bravo! for the past three years. She also made a guest appearance as herself on an episode of the kykNET soapie Suidooster. Actor, dancer, singer, model, MC and presenter who rose to fame in 2015 after winning a presenting job on Top Billing, following a nationwide televised audition called Presenter Search on 3. Best known for his work as judge and choreographer on So You Think You Can Dance, both in Australia and the USA. He has guided the dance routines of a long list of stars, including Celine Dion, Robbie Williams, Andrea Bocelli, Will Young, Take That, Lady Gaga, Tony Bennett and many more. Raised as a traditional dancer in the North-West Province, Tebogo has since become a 10-time winner of the South African Professional Latin and Ballroom Championship and seven-time winner of the South African Professional Latin American Championship. With a background in competitive Latin, ballroom and neo-classical dance, Debbie has studied and worked with world-famous teachers and choreographers. She also launched the Cape Academy of Performing Arts and is the founding Artistic Director of the renowned Cape Dance Company. Singer-songwriter who signed the biggest recording deal in South African music history after being spotted by music legend L.A. Reid. Former Bafana Bafana soccer star who played in the 1998 and 2002 World Cups and represented South Africa in the 2000 Sydney Olympic games. Comedian and actor who rose to fame after winning the Newcomer Award at the Savanna Comic's Choice Awards in 2016. He also featured in the soapie Ashes to Ashes and was a presenter on Walala Wasala. Model and actor best known for his role as Justin in the kykNET soapie Suidooster. He also played the lead role in the Afrikaans film Rowwe Diamante. Veteran actor known primarily for his work in Afrikaan sitcoms, including Kompleks, Die Uwe Pottie Potgieter, Molly & Wors and Ouboet & Wors. Actress and performer best known for her theatre work and acting roles in movies such as Knysna, Somer Son, Die Pro, Willie Esterhuizen's Droomdag and Die Ontwaking. Former Miss South Africa who is a presenter on radio station Jacaranda FM, and is a brand ambassador for L'Oreal - Vichy Laboratoires in South Africa, the USA and Brazil. 400m world record holder Wayde van Niekerk's mother, who competed provincially as a track-and-field athlete in the late 1980s and early 1990s. Former Springbok best known for being the third black South African player to don a Springbok jersey. He now spends his time as a rugby commentator and pundit. Former Our Perfect Wedding host, actress and DJ who is currently starring in the 1Magic drama series Unmarried. She also played Thabisile, the make-up artist and resident gossip in the Mzansi Magic telenovela The Road. A player on the South African National Netball team, playing in positions such as Goal Shooter, Goal Keeper and Goal Attack. Actress known for her roles in several high-profile series including Z'bondiwe, Single Galz, Single Guyz, Lockdown, Intersexions, iNumber Number and iThuba Lokugcina. CHANNEL: M-Net | Local version of the show in which 12 celebs compete for your vote with the help of professional dancers.